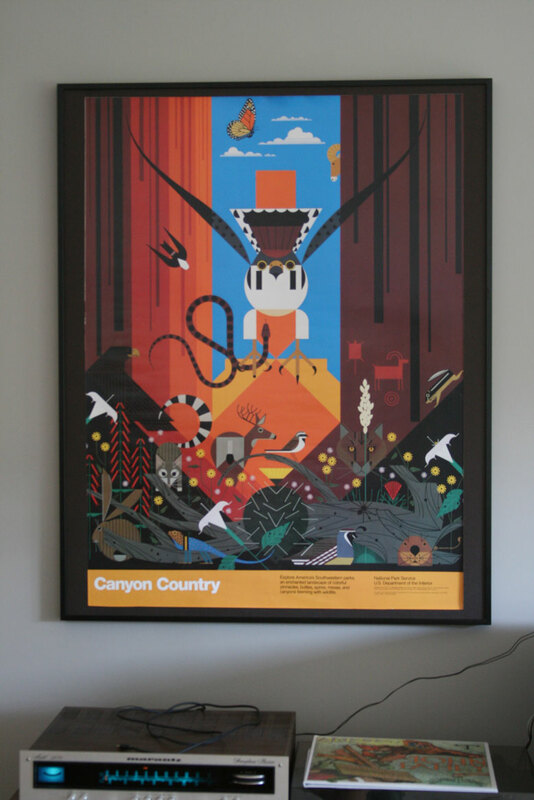 When I bought these Charley Harper posters nearly a year ago (yes…a year ago…) I was a little stumped on how to have them framed, since they’re large and an obscure size. Recently I was looking around in a arts/crafts store and finally found a way to frame them without having to buy something online or get something custom made (expensive). 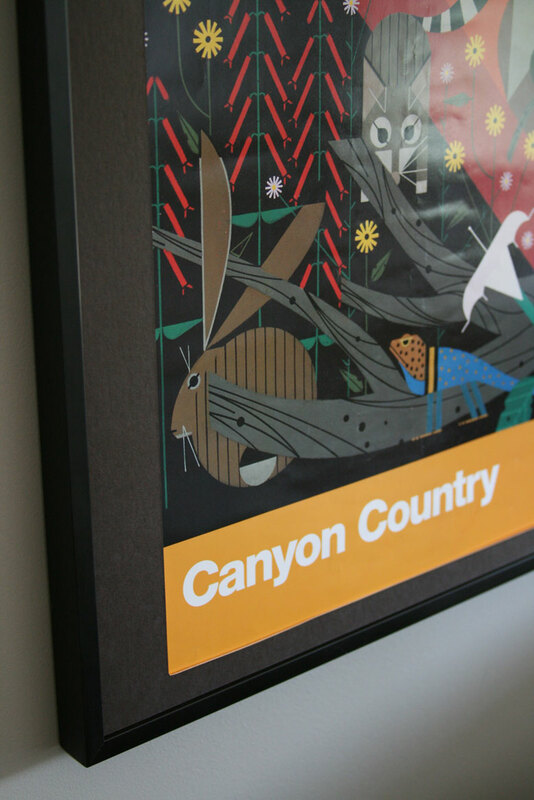 If you’re having to frame a large piece of artwork or something of an obscure size, then try out this idea. I am only able to provide tutorials like this one with my computer which is near retirement after several years of high productivity. Consider donating even $1 (button at top of right column) for the use of this tutorial so I may save for a new computer. If everyone who read this article did so, it would cover the cost in a very short amount of time. I will never be able to afford one otherwise, it is most sincerely appreciated. Thank You. I purchased 2 pieces of matboard that measure 32″x40″. This is a common size. My poster is sized 29″x39″, so the matboard just fit. One was going to be the backing of the poster and the other I was going to cut out for a mat. 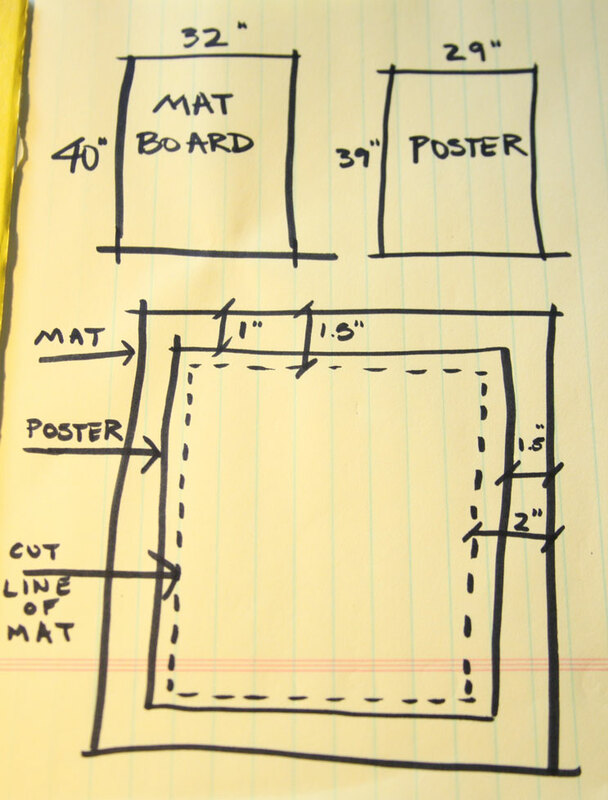 First I drew out the measurements of my poster (29×39″) and the measurement of the matboard (32×40″) so that meant the matboard was 1″ taller than my poster, and 3″ wider than my poster. Since the poster was going to be centered on the matboard, that means I had at minimal 0.5″ at the top and bottom of the poster and 1.5″ at each side of the poster to leave as a border. Since I wanted the mat to overlay over the poster a bit, I added 0.5″ to each side of the measurement. So that meant I left 2″ on each side of the matboard and 1″ at the top and bottom. Got that? On the back of the matboard, I measured 2″ up and down the sides and drew a line connecting those marks. 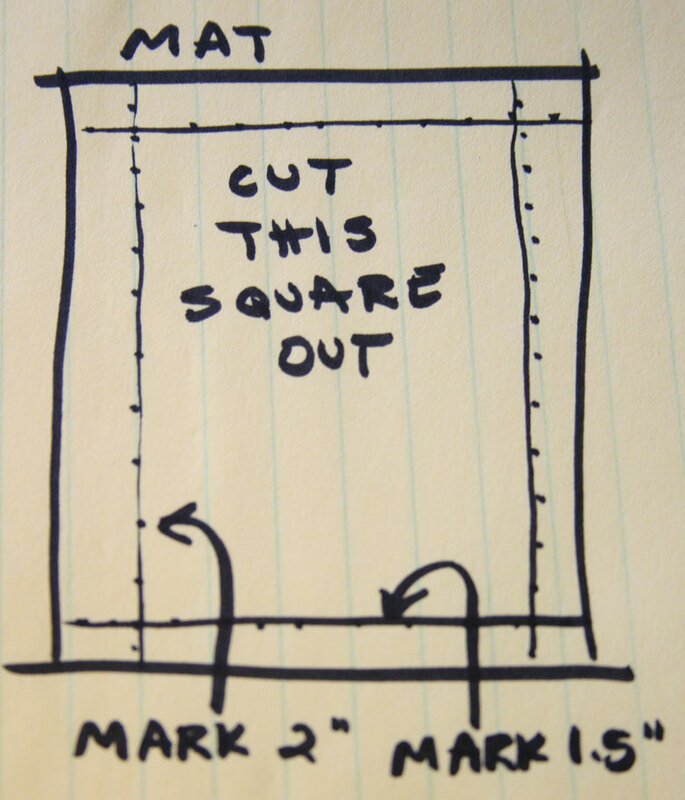 I did the same for the top and bottom, except measuring 1″. Then using a straight edge (yard stick works), I used a razor blade/xacto knife to cut out the center square (which makes my mat). After that, I laid my matboard backing on the floor, laid my poster on top, then laid my matting on top of that. I used some non-permanent double sided tape to adhere the poster to the backing, then I used more to adhere the mat on top of that. After that, I simply put my frame together, first putting 3 sides together, sliding my poster into the frame, then attaching the 4th piece of the frame on. The good thing about using the matboard (and not getting plexiglass to cover it) is that it is lightweight for a poster of its size and easy to hang. The sectional frames allow you to frame things of obscure sizes. I bought one package that was 40″ long ($17) (2 sides) and one package that was 32″ long ($13) (the other 2 sides). Thankfully, this is the size of the matboard, so I didn’t have to trim any other part of the matboard down. I purchased mine at Hobby Lobby. Thankfully they have 40% coupons. All of the hardware comes with the sectional frames, so no need to worry about that. Everything I got was on sale or I used a coupon, so I spent around $30.